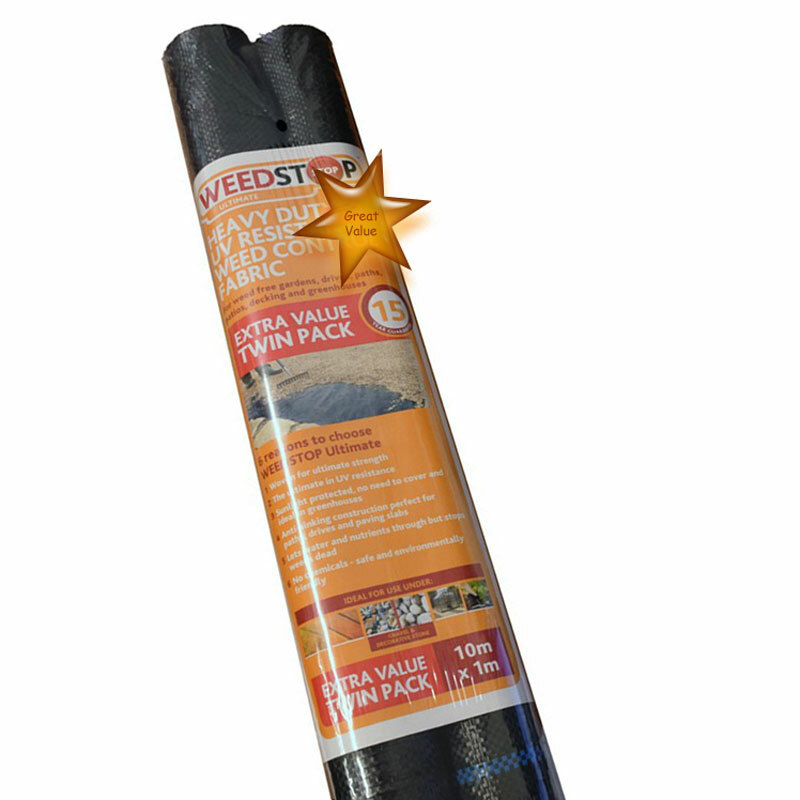 Gardman WeedStop Heavy Duty UV Resistant Weed Control Fabric 10m x 1m Rolls supplied in an extra value twin pack suitable for a wide variety of weed control tasks. Water and nutrients can penetrate the barrier whilst weeds are starved of required sunlight. Ultimate strength woven fabric suitable for ground stabilisation and suppressing weeds under paving, patios, decking, gravel, decorative stone, greenhouses and landscaping.